Transition is the movement between two slides in a PowerPoint presentation. 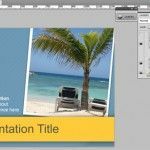 Adding transitions to your PowerPoint presentations will make your work more dynamic and entertaining for the audience. We’re going to learn how to enhance our productions with some easy and simple steps. 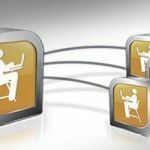 Remember that transitions is not the only thing you can add to your PowerPoint Presentation to make it better: In this webpage we are working to help you on anything you need about PowerPoint. 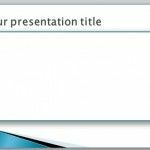 In PowerPoint 2010, we have already got an specific window that helps us to do that. In this newer version, we’ve got a lot of new transitions to improve our presentation. We only have to choose and see what kind of effect fits our work better. Did you know? Our site has thousands of free PowerPoint templates for presentations. We can use some options to change lots of things in our transitions by clicking Effects Options, an arrow that appears to the right of upper transitions panel. Now we can easily choose the speed of the transitions in seconds, instead of choosing ”Slow, Medium or Fast”. Of course, we will be able to set the moment where your transition will appear: You can choose a determinate amount of time (in seconds) or by clicking yourself. If you liked this article, please visit our site: Free PowerPoint Templates.